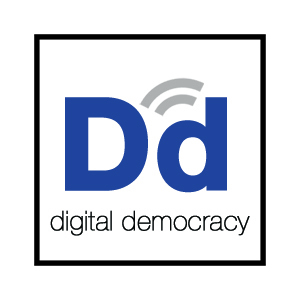 Huge kudos and many thanks to designer Drew Frist for designing Digital Democracy’s new logo. Through his design, Drew sought to evoke the classic periodic table of the elements, with a modern edge. For us, the logo conveys digital democracy as a “new element” for civic engagement. It’s the perfect fit for an organization that promotes education, participation and communication through digital technology. Thank you, Drew, for conveying such fundamental ideas into this powerful logo. We look forward to sharing it across our networks.